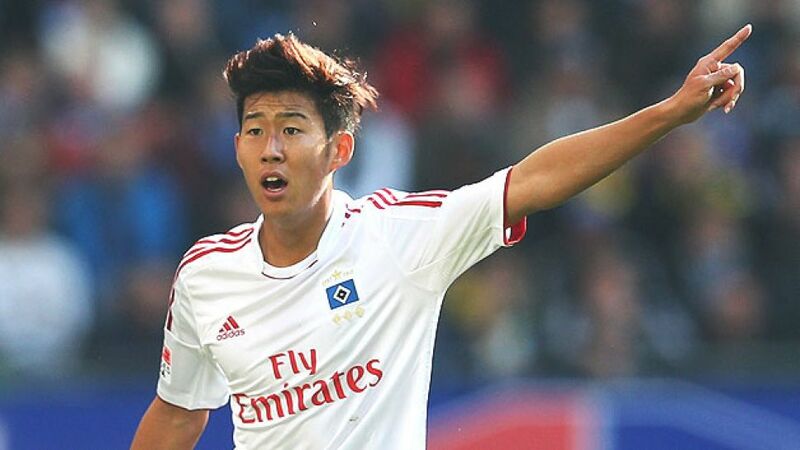 Leverkusen - Bayer 04 Leverkusen have completed the signing of South Korean international striker from Hamburger SV. The 20-year-old, who scored twelve goals and provided one assist in the Bundesliga season just past, has signed a five-year contract at the BayArena, meaning he will be a Werkself player until June 2018. "In Heung Min Son we have signed a player who, despite his age, was a key player at Hamburger SV. He has huge potential and is exactly the type of player we are looking to bring into the club for next season when we compete in Europe," commented Leverkusen chairman Wolfgang Holzhauser. Those sentiments were echoed by sporting director Rudi Völler, who added, "Heung Min Son is quick, agile, technically strong and has a fantastic shot. He will help us achieve our goals in the Bundesliga, DFB Cup and Champions League." Meanwhile, Leverkusen and Premier League side Chelsea FC have reached a preliminary agreement regarding prospective transfer to the UEFA Europa League champions. At present, the legal formalities are yet to be set in stone, while the 22-year-old must also complete a mandatory medical check-up in London.